Intellectual property is property. This may seem trivial to some and tendentious to others. Why? In my recent Article I argue that the conflict between two polar views arises in part from overlooking the nature of property rights. Commentary in intellectual property is overwhelmingly concerned with the nonrivalness of information on the one hand or the need for the creation of incentives on the other. The former makes intellectual property, and exclusion in particular, presumptively suspect: if additional consumers can use information at little or no additional cost, then the waste from exclusion rights in information could not be clearer. On the other hand, the need for incentives to create or develop information may at times require intellectual property rights to supplement or supplant other devices like lead times, fame, and academic tenure, but this tells us little about whether the incentives should take the form of regulating specific activities, as in unfair competition, or employing exclusion rights, as in patent law. 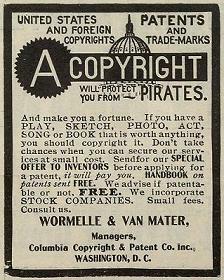 What should be the contours of intellectual property rights? My recent Article argues that intellectual property’s resemblance to property consists in its reliance on information-cost saving strategies for delineating entitlements that are characteristic of property law. Property differs from other areas like torts and contracts in its heavier reliance on what I call the exclusion strategy. The exclusion strategy protects rights-holders’ interests in the use of resources indirectly, by using a simple signal for violations. The prototypical example is trespass to land where unauthorized crossing of a boundary serves as a (very) rough proxy for harmful use. But this is not the whole story. Some rights are defined more directly in terms of proper use, under what I call a governance strategy: a person has a right to perform a certain action, and the action rather than some defined thing is the focus of delineation effort. Much of nuisance law is a classic example of this approach, to the extent that it evaluates uses like running a factory versus living in a house. Governance rules can refine and extend the basic rough exclusion strategy but at ever greater cost as we move along the spectrum from exclusion to governance. This framework identifies exclusion and governance as complementary strategies for defining property rights. I show that some combination of exclusion and governance over information outputs can theoretically serve as a low-cost way to establish property rights in the rival inputs to invention and commercialization. Which combination, if any, is best is an empirical question. How to delineate property entitlements points to some similarities between property and intellectual property. In both areas, the exclusion strategy broadly delegates development decisions to owners and is supplemented with tailored rules of governance pertaining to especially favored or disfavored uses. In property, a right to exclude is beneficial to its holder because she has an interest in the privilege of use that is indirectly protected by that right. If I have a right to exclude others from Blackacre, my privilege to farm, park my car, etc., is more valuable to me than if others could interfere. Rights to exclude typically protect a broad and indefinite class of uses, thus delegating the choice among them to the owner. Likewise, patent law, one of the more property-like regimes of intellectual property, employs the exclusion strategy to delegate choices among uses to holders of patents. For example, in a chemical invention, the applicant can claim a substance by stating its structure. Any use of the substance, whether foreseen by the applicant at the time of the application or not, is protected by this right to exclude. The right to exclude others from using the substance bunches together a wide range of uses that the law need never specify individually. The law delegates to the patentee the choice among these uses. As a result, the patentee can undertake a wide range of activities to increase the value of the invention, including further development not resulting in improvement patents, advertising, marketing, etc., the returns of which the patentee will be able to capture. These other resources and activities may well be rival, and, again, it is an empirical question whether to make the returns from them more appropriable through patent rights or some other more direct device like a subsidy or a lien. As in the case of tangible property, it is worthwhile asking why we do not encounter a greater diversity of bundles of entitlements than we actually do. True, the owner of Blackacre has a lot more regulation to worry about now – from environmental law to zoning – but the basic employment of a right to exclude to delegate a reservoir of unspecified uses remains at the core of her rights. Similarly, in intellectual property – and patent law in particular – functionally broad exclusion rights allow outsiders like officials and judges to avoid the need to value or even know anything about individual uses of information. But some bundles have informational advantages over others. In both areas, the shape that property rights take – a base of exclusion and a shift toward governance as a refinement – conserves on information costs. For example, in real property, many problems are taken care of by the law of trespass, which does not require courts to know much about land use or to balance individual conflicting uses. At some point where particular conflicts involve high stakes, it makes sense to single them out for special treatment – by contract (covenants and easements), torts (nuisance), or regulation (zoning and environmental law). Where the shift from exclusion to governance should occur depends on both the costs and benefits of precision in delineating entitlements, and the Article builds on a simple model of the supply and demand for precision. What makes exclusion in both property and intellectual property a little paradoxical is that, as a mechanism, it exhibits an inherent disconnect from the purposes it serves. By having a right to exclude, the owner of Blackacre can protect her interests in use. She can build a house, grow crops, etc., without having separately delineated rights, or “sticks” in the proverbial “bundle of sticks,” for these purposes. Indeed, much of the time the right to exclude allows these uses not to require separate delineation. (Often they can be treated as liberties and privileges: the owner’s use of the land for growing crops is something the owner has freedom to do, protected indirectly by the right to repel invasions.) The right to exclude does not protect an interest in exclusion but rather an interest in a whole indefinite and silent reservoir of uses. This makes exclusion a little suspect at first blush, because it is easy to overlook the indirect relationship between the right (to exclude) and the privileges of use that are the owner’s main interest. But it is this indirectness that is the source of the simplicity and low information cost of the exclusion strategy in the first place. The indirectness and simplicity of the exclusion strategy is implemented through its contribution to the modularity of property rights. A modular system is divided into information-hiding components, or modules, which allow intense internal interaction but only limited interaction across component boundaries. The advantages of modularity are especially prominent in software and the teams that create it: the complexity of software and design decision making quickly become unmanageable if every part of a program in principle could interact with any other. Instead, modules can be factored out and called upon in standardized ways; a “print” module instead of many print functions in a program would be a classic example. Boundedly rational agents can more easily understand modular systems and can specialize in working on a subset of modules. In property law, exclusion permits property rights to serve as modules: between the owners’ packages of rights – the modules – only limited standardized information is allowed to be relevant. These interface conditions range from the numerus clausus (standardizing the legal dimensions of property rights) to rules making the identity of owners and their uses irrelevant (the use of boundaries as proxies and the lack of defenses to trespass based on balancing). These information-cost advantages of exclusion stemming from the modularity of property rights do, however, carry with them the potential for undermining support for the right to exclude. If the uses that are the main interest of the owner (and the rest of us) are “backgrounded” enough, the right to exclude looks merely selfish and wasteful. There are situations in which multiple actors could enjoy Blackacre without much conflict, but this decision is left with the owner who need not explain any refusal to let another party in or to make deals. The indirectness of the relation between the right to exclude and the interests in use that the right protects makes it looks as if the uses are being overlooked. If only we could deal in the uses directly, it would seem that we could tailor a more rational solution to use conflicts. This preoccupation with benefits and consequent overlooking of the information costs of delineation and enforcement of tailored governance solutions are the hallmark of realist and post-realist approaches to property. Once information costs are part of the picture the question becomes what combination of exclusion and governance (by contract, social norms, law, or regulation) would serve those interests most cost-effectively. This is an empirical question. These same advantages and disadvantages of the exclusion strategy arise in the case of intellectual property, possibly to an even greater degree. In the Article, I argue that lumping together the interests in a range of uses and protecting them indirectly behind a lumpy, rough right to exclude can save on information costs. As in property, choice between uses is a difficult one and can often be best served by delegating the choice to the owner through the exclusion strategy. In certain areas like patent, the potential uses may not be known and may require further development and commercialization. Indeed, in intellectual property the indirectness is quite severe: one way to view intellectual property rights is as an attempt to solve the problem of appropriation of returns to rival inputs (labor, lab space, materials, etc.) by giving exclusion rights in information. It is, again, an empirical question whether this indirect exclusion-based mechanism is more or less cost-effective than tailoring rights to the inputs more directly, or doing nothing at all. To the extent the information-cost rationales for indirect rights are important, we should expect more emphasis on exclusion. Other areas, most prominently copyright, have been less characterized by the problem of integrating many hard-to-value contributions, and copyright is correspondingly a more tort-like governance regime. That is, copyright shifts over from exclusion to governance more quickly, from the basic delineation of the rights (to copy, prepare derivative works, etc., which themselves are already targeted to classes of uses) to the many exceptions and overrides of the rights (fair use being the most famous). On the cost side, exclusion in intellectual property is a more extreme version of exclusion in property. It is true that exclusion can be overinclusive and will in the presence of positive transaction costs have a tendency to prevent some nonrival uses, which is a waste. But the same is true to a lesser extent in the law of tangible property. Even though land or chattels are typically rival, some uses may not conflict very much. Hunting and grazing can occur on the same land. And there are situations in which multiple usufructs have been allowed. Easements are a small-scale version of this. The open fields of medieval Europe and various indigenous property systems – in which different parties can have rights to hunt birds, gather berries, etc. – are more systematic examples. The modularity of exclusion can help deal with the problems of an information semicommons. In a semicommons, private and common property regimes overlap and interact. This interaction raises the potential for strategic behavior through the enhanced access from the overlap. A tangible and elaborate semicommons was the medieval open field system in which the access afforded by throwing open the entire set of privately owned strips to common grazing during fallow periods and right after harvest allowed strategic behavior, such as favoring one’s own parcel with manure or trashing others’ with excessive trampling of sheep. The benefits and costs of this type of access-through-overlap are more likely in the case of intellectual property: access to information is more difficult to prevent and impeding access to nonrival information is presumptively undesirable. Doctrines like fair use in copyright can be regarded as overlap between private rights and the public domain, and as a very complicated interface between the two. But by relying on exclusion as well as governance, the interface conditions provided by intellectual property law make the complexity entailed by this multiple use easier to manage. For example, someone who commercializes an invention by using labor and lab space to make the invention more attractive to consumers or to producers of downstream products need only focus on her contribution and the claims of others (supplemented by whatever contractual license terms are considered worthwhile). Likewise, the owners of those claims need attend only to a subset of the information that the other input owners claim, supplemented by license terms. As in regular property, exclusion in intellectual property rights is not absolute. Also, as in regular property intellectual property helps contracting parties get together. Nonetheless, any property system, including patent, copyrights, and the other branches of intellectual property law, must face the question of what combination of exclusion modules and governance interfaces will most cost-effectively bring parties together and allow them to engage not only in a division of labor but also in a specialization of information. Which degrees of exclusion and governance are called for and how best to manage a semicommons are empirical questions. Recitation of the benefits of open access in terms of nonrivalness or the benefits of entitlements in terms of incentives tells us very little about the shape those entitlements should take or the forms of protection they should receive. If we are to have property rights, why are they not very thin sticks to engage in very specific uses? If someone invents a new compound, why would a patent cover all uses instead of pre-identified ones (fuel-additive, lubricant, etc.)? If the public domain is important why don’t we specify the public rights stick by stick? The Article points to how lumpiness has its advantages, and how the on/off quality of the exclusion strategy allows complexity to be managed through modularity. Where necessary, governance can be used to tailor these solutions – to enrich the interface conditions between modules, as is the case with copyright fair use. Interestingly, as information becomes more important, more valuable, and more interactive, it might be desirable to increase or decrease the overall reliance on the exclusion strategy. The benefits and costs of exclusion can rise in tandem and it is an empirical question which rises faster. Intellectual property optimists, pointing to incentives, tend to assume that the benefits rise faster than the costs. Skeptics, citing nonrivalness and interactivity, assume that the costs of exclusion rise faster than the benefits. A focus on the role that the modularity of the exclusion strategy plays in an information-cost theory of property suggests that an increase in the value of multiple-use information can call for more exclusion, more governance, or less of both. The Article does try to identify an often overlooked function for exclusion, one which makes intellectual property look like property. And to the extent that academic commentary ignores the role of the exclusion strategy in contributing to the modularity of entitlements in information, there may be some reason to think that exclusion is not as bad as the standard academic wisdom would have it. But it cannot be emphasized enough that at bottom the question of exclusion versus governance versus nothing is an empirical one. The model offered in the Article does refine the empirical question and perhaps has the potential to improve empirical guesswork. More importantly, by highlighting the role that the exclusion strategy plays in increasing the modularity of intellectual property, the theory points to a whole new class of suggestive analogies and sources of data. Modularity has become a useful analytical tool in organizational theory, a context in which participants are quite likely to have incentives to set up their interactions efficiently. With the usual caveats about scaling up, this line of studies suggests that we might be able to draw lessons from organizations. Indeed organization law can be thought of – in one of its aspects – as a specialized property system in which boundaries serve to hide certain kinds of information. If so, this may be of relevance to normative questions in intellectual property. Exploring these analogies in the proper spirit of caution is likely to prove very fruitful. Henry E. Smith is the Fred A. Johnston Professor of Property and Environmental Law at Yale Law School, where he teaches in the areas of property, intellectual property, natural resources, and taxation. Preferred Citation: Henry E. Smith, Intellectual Property as Property: Delineating Entitlements in Information, 117 Yale L.J. Pocket Part 87 (2007), http://yalelawjournal.org/forum/intellectual-property-as-property.